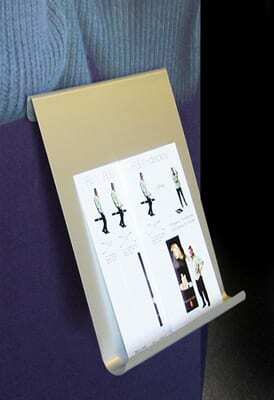 With the FLEX-display system it is not necessary to invest in a separate leaflet dispenser for your exhibition or event.Instead we have devised an attractive way of displaying your literature, using the FLEX-display stand itself. 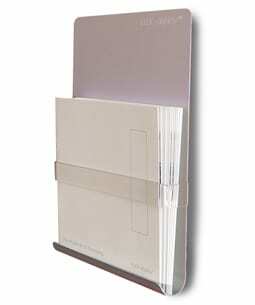 This is done by attaching our dispensers, through the fabric print, to a magnetic fixing attached to the pole behind the printed graphic.Our literature dispensers can also be used below a poster sized graphic and in this case, the dispenser can be angled with an adjustable pole attachment. See image below.Sizes are available to suit the Crossbase stand with one pole attachment (A4) and for the twinbase stand with two pole attachments (3 x A4 wide).